Princess Cruises is now offering guests the first chance to take advantage of a booking offer on 2019 summer cruises to Europe, Alaska, Japan and the Caribbean, with up to $1,000 free onboard spending money per stateroom with its Landmark Sale . In addition, guests book with a 10% refundable deposit during the Landmark sale. More information about Princess Cruise’s Landmark Sale can be found at princess.com/cruisedeals. All cruise prices are per guest, based on double occupancy. Princess Cruise’s Landmark Sale runs through 11:59 p.m. PDT on June 19, 2018 and is available to residents of the United States, Canada, Puerto Rico and Mexico. 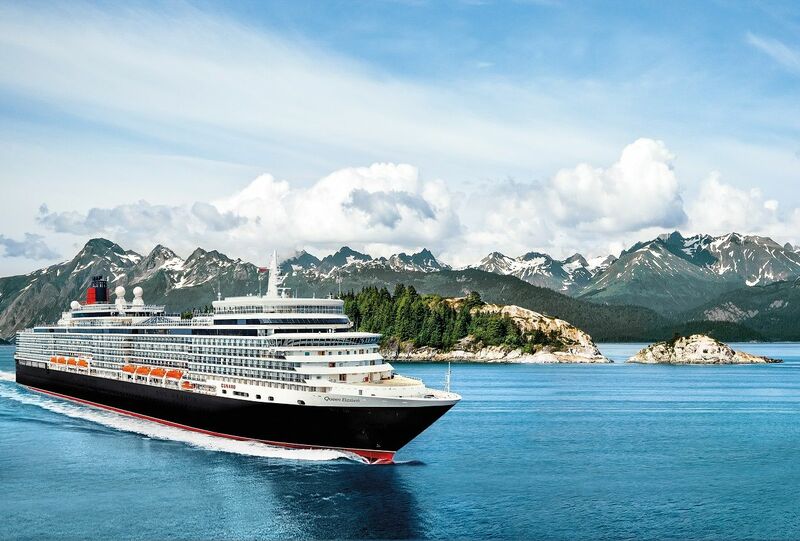 Azamara Club Cruises has joined forces with Rocky Mountaineer, the largest privately-owned luxury tourist train company in the world, to develop special offerings of inclusive pre- & post-land programs for select Azamara Alaska voyages in 2019. These land programs allow Azamara to bring their Destination Immersion® programming to guests in a whole new way thanks to the unique and authentic perspectives that train travel provides. Alaskan voyages like the 10-day Alaska Intensive Voyage setting sail May 2019, the eight-day Alaska Adventure Voyage in June 2019 and the 10-day Alaska Showcase Voyage in July 2019 are all applicable for the Rocky Mountaineer package. While the pre & post land tours are not available online, guests can learn more at AzamaraClubCruises.com/RockyMountaineer, and can book through a travel professional or by calling 1.855.AZAMARA. Holland America Line is expanding the guest experience on its Alaska Land+Sea Journeys with the addition of new guest accommodations at its Denali operation. The 99-room addition will feature the first-ever junior suites at the resort and is expected to be open for the 2019 summer Alaska cruise season. The 55 new junior suites will showcase balconies, larger living areas and greater amenities for guests. The new rooms are an extension of Holland America Line’s overland Alaska experience to Denali, which includes the McKinley Chalet Resort hotel and Denali Square, a gathering area to relax, shop, dine and enjoy music and entertainment. The addition will be located just west of Denali Square with views of Mt. Healy and Denali National Park. The three-story project will feature junior suites and standard rooms with rustic-chic décor. All junior suites have balconies, so guests can enjoy the stunning views of the surrounding Alaska wilderness in private comfort. Each floor will have a central, open-air lobby with cozy furniture. The third floor has open public deck space with tables and loungers so guests can take in the panoramic scenery. The new building will become a fundamental feature of the McKinley Chalet Resort, Holland America Line’s magnificent 68-acre hotel property on the Nenana River. The hotel — featuring a reception hall, dining facilities and guest rooms — serves as base camp for all adventures at Denali National Park such as flightseeing, ATV adventures, hiking trails, river rafting and more. All accommodations feature stylish décor and premium amenities. Steps from the new rooms, Denali Square is at the heart of Holland America Line’s Denali property and is centrally located between the main area of the McKinley Chalet Resort and the riverfront guest rooms. The largest building in the complex is Karstens Public House, the grand 7,000-square-foot, two-story restaurant showcasing views of the neighboring mountains for dining guests. An inviting deck with fire pits and outdoor seating also allows guests to immerse themselves in this special venue as they drink and dine. At the center of Denali Square is an amphitheater with a covered performance stage and bench seating for guests to enjoy a variety of local shows and ranger talks. Those wanting to quench their thirst or listen to live music can visit Gold Nugget Saloon, home to the Music of Denali Dinner Theater, that becomes a bar and music venue after the show. Denali Square also features fire pits, outdoor seating, retail shops offering local goods, and an artist-in-residence cabin where Alaska native and local artists display and discuss their works. Walking paths in and around Denali Square show off the property’s mountainous landscapes and beautiful setting.